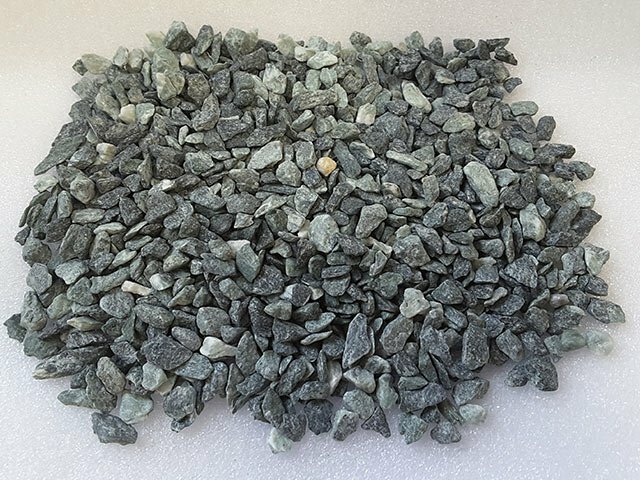 Add some variety to your terrazzo flooring design with the beautiful hues of our Green Alpe Chippings. 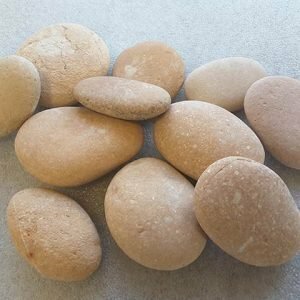 Used by contractors and artisans across Ireland, this stone mixture is ideal for adding noticeable pops of colour and natural rock texture to indoor and outdoor paved flooring for residences and commercial buildings. A beautiful mixture of greens and black with a slight hint of white, this nicely shaped chipping comes in 3-5mm, 5-8mm and 9-12mm. The Green Alpe Chippings show off a gorgeous mix of colours that is very unique. Many of the pieces are dark charcoal grey to black in hue, lending a smoky, shadowy quality to the mixture. Brightening up each assortment of chippings are striking stones that are a verdant blue-green hue. Veins of white run through the rocks, adding dimension to the assortment. These cool colours are very calming and are very popular for indoor terrazzo flooring in spaces where a serene, tranquil ambiance is desired. The shades also work beautifully in outdoor areas, as their colours bring to mind the natural colouration of grass. 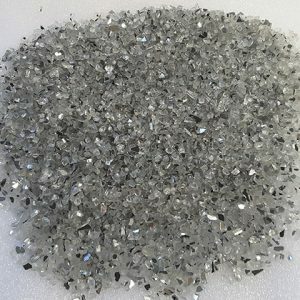 While the specific sizes of the rock pieces in the Green Alpe Chippings vary, the average length is around 20 millimeters. 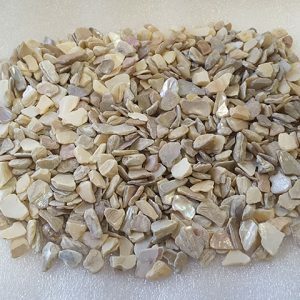 Larger than some of our other terrazzo chippings, this mixture provides more pronounced colour for added beauty. We provide a wide variety of shapes in each assortment to enhance the beauty of the finished floor. 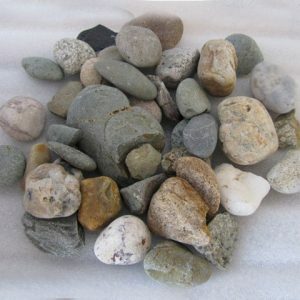 Only the finest of rocks are chosen for use in our Green Alpe Chippings. This helps to ensure that the materials can hold up to the grinding that is needed to create a perfectly smooth finished floor. Not just for terrazzo, this green chippings blend can also be used for making decorative stone mosaics of all kinds. 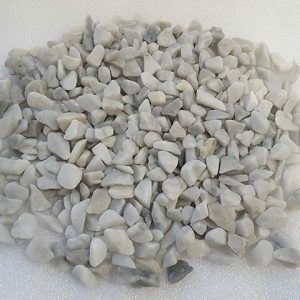 At Midland Stone, we offer the Green Alpe Chippings by the tonne sack. Each unit that you add to your order will give you another sack. You can use our Online Calculator for assistance determining how much is needed for our flooring project. You can also feel free to contact our customer service team for help.